There is a new cohort of NatHERS House energy raters entering the field of Thermal Performance assessing of planned homes. This new cohort mainly consists of Architects, Building Designers, Building Certifiers & Builders who are adding NatHERS House Energy Ratings to their existing business with an added bonus As Built Energy Ratings…. 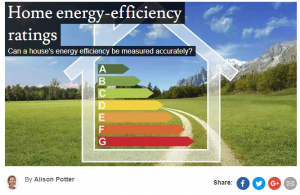 Not only are they offering House Energy Ratings for planned houses, there is now a growing trend in offering As Built Energy Rating on the completed project as well. What is being offered here is an energy rating that is carried out on the initial plans of a house as a requirement for building approval and the new energy raters into the industry are teaming up with competent builders in providing an As Built Energy Rating which allows the new home owner peace of mind that the builder has included all the energy saving measures and compliance elements as required. Building designers use special software to ensure that the building plan is consistent with efficiency measures. There are also other rating methods, such as meeting the deemed-to-satisfy (DTS) provisions of the construction code. The problem is that apart from the initial design stage, there’s typically no further assessment to ensure recommended energy-saving requirements are actually installed, or installed properly. This has resulted in cases where there have been clear discrepancies between the energy rating listed on paper and the actual energy efficiency for some new homes being built. So ultimately, because an energy-efficient home potentially costs more, consumers may be paying a premium for something they aren’t getting, and anticipating energy savings that aren’t occurring. In some cases, owners have been shocked when independent assessors rated their homes as far less energy efficient than they were originally told. This could be the result of an incorrect evaluation or an issue with the building and construction of the dwelling. So, does this new cohort of NatHERS Energy Raters have the answer. I believe they do. Not only will As Built Energy Rating give new home owners peace of mind that they have got what they paid for which by all accounts should save them money in the long run but there are other advantages of this for the Building industry as well as the NatHERS industry. 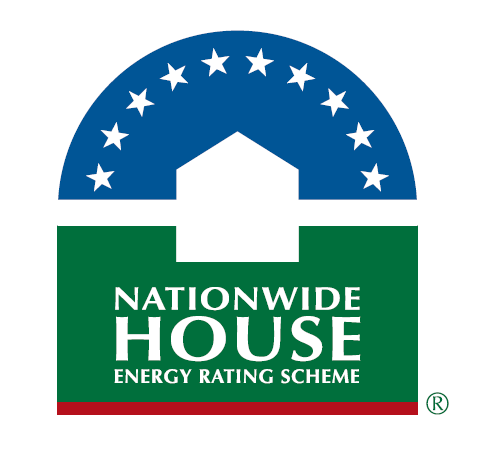 Providing the initial house energy rating has been modelled correctly in the first place and the builder installs the energy saving measures and compliance elements to the required standard, both the initial energy rating and the As Built Energy Rating will eliminate bad publicity that both industries have endured over time. It is well known that this is a problem that needs addressing. I congratulate all the Thermal Performance assessors, Architects, Building Designers Certifiers and Builders who have taken the initiative and adopted As Built Energy Rating. This is not something that the industry should be waiting for Government to introduce as mandatory. This is an issue that can very easily be rectified for very little cost. During the construction of a house, builders are required to have mandatory inspections carried out. How hard would it be for a builder to include inspections and gather evidence of the installations of the energy saving measures and compliance elements undertaken with these mandatory inspections. Many of the Building Designers and Builders that have adopted As Built Energy Ratings simply include these inspections in their weekly on-site meetings using a prepared checklist and evidence being compiled during construction. A report is published at the completion of construction and provided to the new home owner at handover. I urge all Thermal Performance Assessors and Builders to be accountable for their actions and introduce “As Built House Energy Ratings” as a standard inclusion to their business.